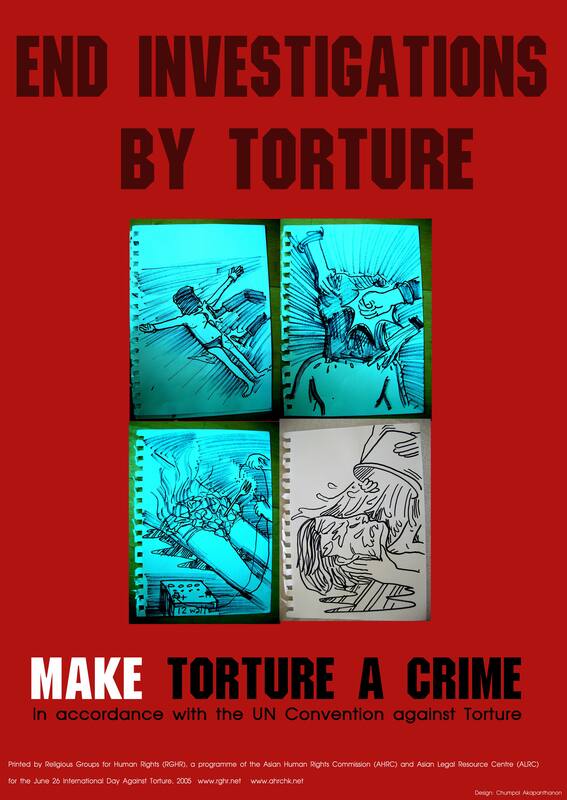 A court in Sri Lanka has given a shocking verdict in a case of police torture. Both the judgment and chain of events that led to it contain many important lessons for people in Thailand. Police in Wattala picked up Gerald Perera [pictured above] on June 3, 2002. They took the 39-year-old to their station, strung him from a beam and beat him with iron rods and wooden poles for about an hour in an effort to get him to confess to a murder. They had the wrong man. Gerald knew nothing of the crime. His was a case of mistaken identity. But by the time that he was released he had suffered renal failure. Only protracted and expensive medical treatment saved his life. Both Gerald and his wife had a strong sense of justice and great courage. Despite the obvious danger, they sought help to lodge complaints against the police. They asked to be compensated for breaches of Gerald’s constitutional rights, and initiated a criminal inquiry. In April 2003 the Supreme Court found that Gerald had been beaten to within inches of his life while in custody. It said that the police accounts of what had happened were unsatisfactory and noted that three officers had admitted to using force during the arrest. In awarding Gerald a record payout, the court said that it had “no doubt whatsoever” that he had been tortured. It added that by not rushing him to hospital the police also were guilty of committing cruel and inhuman treatment. Buoyed up by these findings, Gerald prepared to testify again, this time in the case that the prosecutor had lodged under Sri Lanka’s anti-torture law, which carries a mandatory seven-year jail term.